Da Capo Press, 9780306820663, 288pp. Peter Conners book Growing Up Dead, about his teenage years as a Deadhead, established him as a vital new voice in American music and social history. Conners lives with his wife and three children in Rochester, New York. 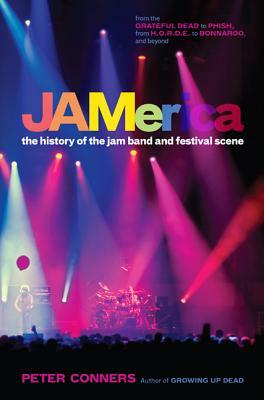 "Conners has, by synthesizing these different ideas into a harmonious collection of quotations, musings, memories, and even e-mails from fans, created a literary work that captures on paper the collaborative, spontaneous, and uplifting nature of the jam band music."